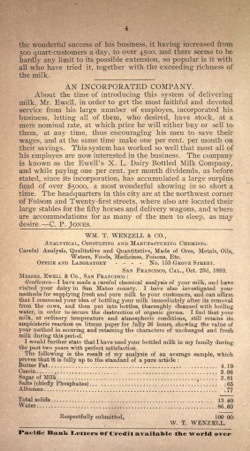 Nothing was further from Mr. Ewell’s thoughts than going into the milk business when, many years ago, he loaned a rela- tive and friend some money to engage in the business. Their subsequent failure forced him to take the business to secure himself. Becoming interested after a little experience, Mr. Ewell soon found out, what few people knew, viz. : That but a small proportion of the milk sold in this city is absolutely pure, and the idea occurred to him that a large and profitable business might be built up by furnishing such an article. Not knowing the meaning of the word fail, he commenced experi- menting. 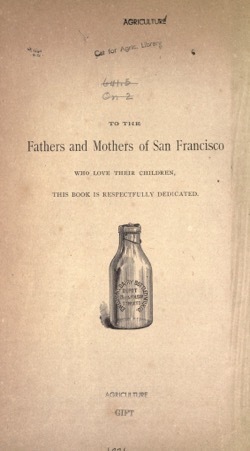 Starting with the idea that young, healthy cows, with plenty of good, wholesome food, fresh air, pure water, .good pasture and proper treatment, would produce the best milk, and having all these requisites to start with, at his 800- acre ranch, seven miles from the city, on the San Bruno road, Mr. Ewell for years experimented with all kinds of feed (for be it known that good pasture alone does not produce the rich- est milk, as most every one thinks), both ground and dry, his experience teaching him finally that cooked food gave better results than dry, and that corn, wheat, Egyptian corn, bran, peas, beans, broomcorn seed and middlings, in their seasons, in various combinations, cooked to the consistency of mush, with plenty of squash when in season, cut fine and fed green, giving a cow all she can eat twice a day, with plenty of good Bur clover hay for a change, is the best. 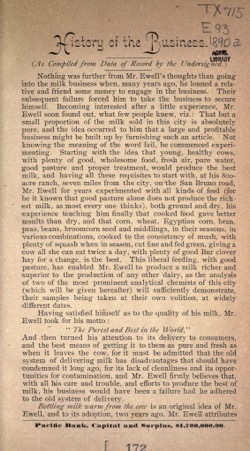 This liberal feeding, with good pasture, has enabled Mr. Ewell to produce a milk richer and superior to the production of any other dairy, as the analysis of two of the most prominent analytical chemists of this city (which will be given hereafter) will sufficiently demonstrate, their samples being taken at their own volition, at widely different dates. 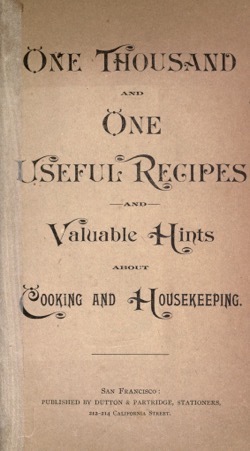 to the quantity of potatoes.